This month's YNS Feature Day is one that is inspired by an artist. You will not be disappointed with the DT's projects using their favorite artist for their inspiration. 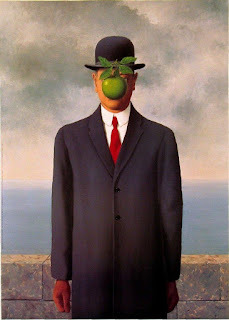 For my card, my inspiration is of one of my favorite paintings - Son of Man. I have always found this one to be quite interesting and then a bit comedic when it was the main painting for Pierce Brosnan's escape in "The Thomas Crown Affair." So, I couldn't resist re-creating this using YNS Silly Monsters Incognito and the apple from Learning is Fun. For the background, I sponged in some Distress Inks before coloring the image with Copics. The monster and his hat were cut out using the coordinating dies and popped up over the background. I used the apple from Learning is Fun for the center of the monster and added just a touch of white gel pen for some peeking eyes. 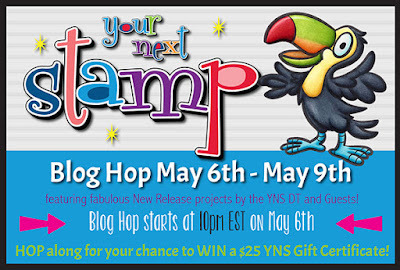 Be sure to stop by the YNS Blog to leave a little love for your chance to win a stamp set of your choice! And to entice you just a little bit more, Karen is having a flash sale in honor of her son's birthday. 22% OFF your order! You don't want to miss out on those sets you have been eyeing at this great deal! 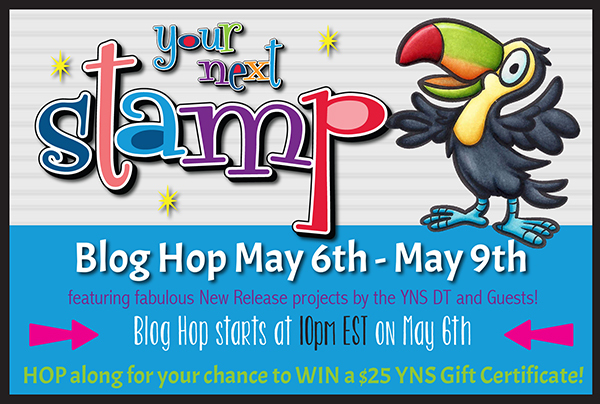 It's time for the May DT Dare and this month it is all about Gumdrops! No, not the kind you can eat, although that sounds yummy, but it's about the fun Gumdrops YNS sells in the store. Have you seen the new shaped gumdrops? You must check them out! So much fun! 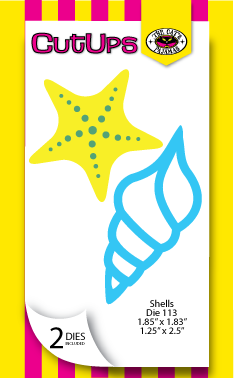 For my card, I am using the new Sunburst Panel Die and the Tweet Birdie Home die. I cut out the sunburst panel and placed them closer together. I then cut out the frame with my Exacto knife so I only have a frame around the outside. The Tweet Birdie Home die cutouts were popped up using some foam dots and finished with the sentiment stamped in the YNS Stone Gray Ink from Whatnot Sentiments Nine and of course, the new shaped Heart and Dot gumdrops. This makes for a quick, sweet, love card for you to give to whom you adore. :) Thanks so much for stopping by and hope you have a great day! 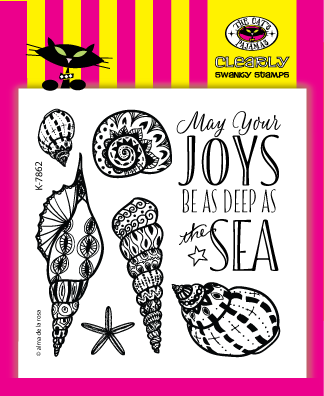 It's time for sneaky peeks with Your Next Stamp for the new May release! There is so many fun dies and cute stamp sets, all ready for your creative mojo. For my peek, I am using the new Got Mud? 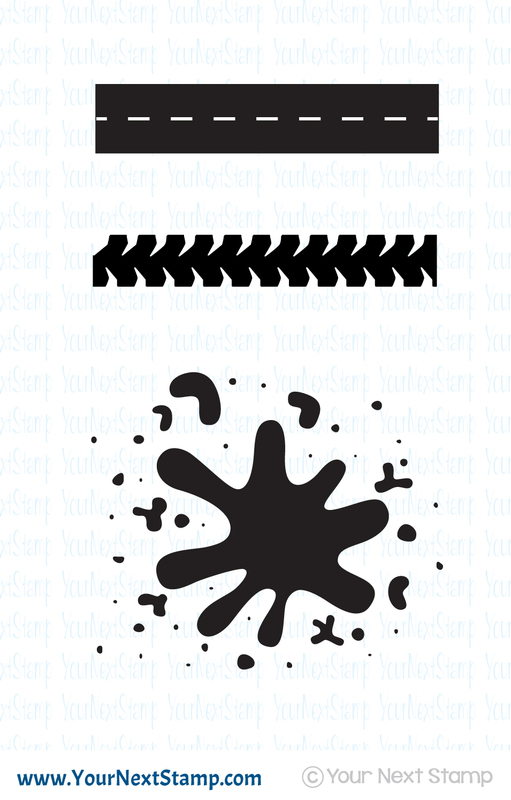 set along with the Mud Splatter set to create this fun card and tag perfect for that little boy (or girl!) who loves monster trucks. Is this not the cutest set? I had so much fun creating with these and it made me long for the days my boys were young and loved monster trucks. 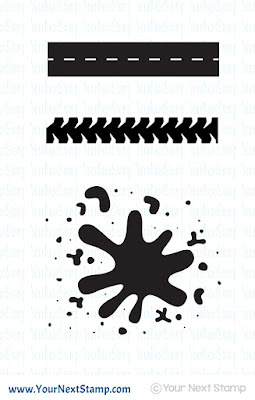 For my card, I started with the Mud Splatter set to create the tracks and large splatter at the top. 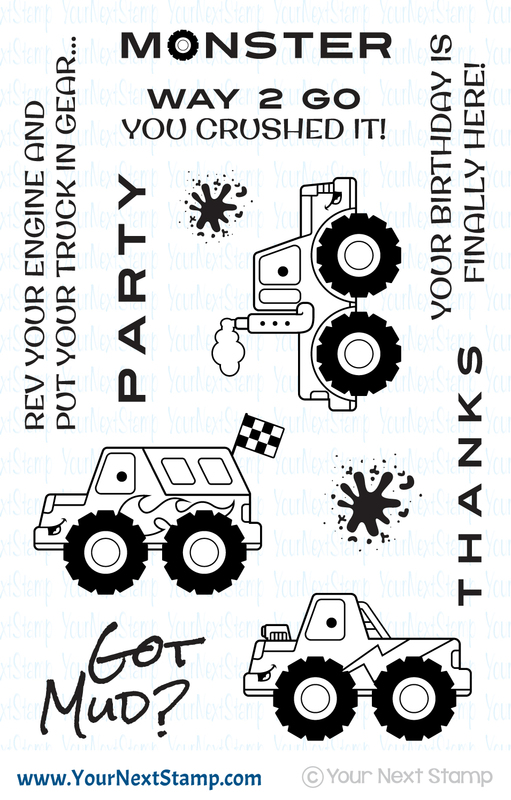 I stamped and colored in the truck with Copics before cutting it out to be popped up at an angle over the tracks. It was finished with some gumdrops and sentiment. The tag was made using last month's release of Cool Tags Four and the Checkered Border stamp for the "track" before popping up the truck over that. The sentiment and some ribbon finished off the tag. Be sure to check out the other fun sneak peeks the DT have for you and don't forget the new release blog hop starts tonight at 10 PM EDT! 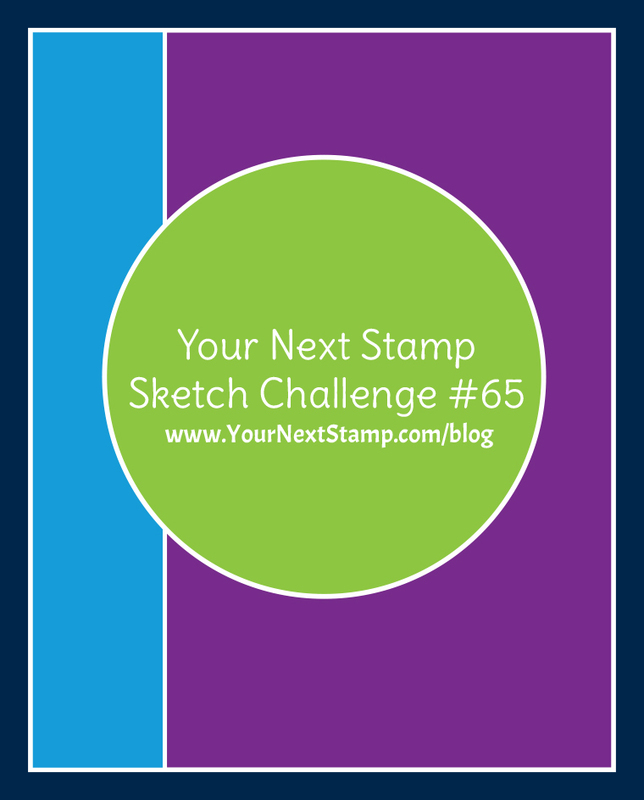 We'd love for you to hop along and win prizes as you do. Thanks for popping in and have a great Saturday!